China has established 82 overseas economic and trade cooperation zones in 24 countries and regions along the routes of the Belt and Road Initiative (BRI), Chinese news site zhonghongwang.com reported Wednesday, citing data disclosed at a meeting held by the National Development and Reform Commission. As more Chinese central government departments cut their annual budgets for overseas trips, vehicle use and receptions, expenditure is increasing in key sectors, such as the environment and healthcare, which are related to people's livelihoods. China has introduced the negative-list approach for services trade and investment talks for the first time in its latest free trade agreement (FTA) negotiations with South Korea, marking the country's full embrace of higher-level opening-up, analysts said. The Shanghai Stock Exchange (SSE) said Wednesday that it has accepted 37 companies' applications to be listed on China's new science and technology innovation board as of Tuesday. IMF chief says tariffs cause "potentially self-inflicted wounds"
Managing Director of the International Monetary Fund (IMF) Christine Lagarde said here Tuesday imposing import tariffs won't eliminate trade deficits and will cause "potentially self-inflicted wounds." Managing Director of the International Monetary Fund (IMF) Christine Lagarde said here Tuesday that her institution anticipates a "synchronized deceleration" of global economic growth in the years ahead, adding that a recession is not likely in the near-term. The BRICS New Development Bank (NDB) concluded its fourth annual meeting in Cape Town on Tuesday, with five new projects approved for funding by the bank's board of directors. The World Trade Organization (WTO) Director-General Roberto Azevedo on Tuesday stressed the urgency of resolving trade tensions and meeting challenges facing the global economy. As China has been ramping up efforts to push forward financial opening-up, overseas investors have also responded actively by further expanding their foothold in the country. The World Trade Organization (WTO) on Tuesday lowered its forecast for global trade growth this year from 3.7 percent to 2.6 percent, due to economic uncertainties. The People's Bank of China (PBC), the country's central bank, in a rare case, has filed a letter to the public security authority concerning rumors that circulated over the weekend claiming the PBC will make cuts to the required reserve ratio (RRR) starting Monday. Shakeeb Yusuf said he made the right career choice as the growing business at his bank at Gwadar port, formerly a remote fishing village in Balochistan Province in southwestern Pakistan, helped pave the way toward his promotion. The People's Bank of China (PBC), the country's central bank, in a rare case, has filed a letter to the public security authority concerning rumors that circulated over the weekend claiming the PBC will make cuts to the required reserve ratio (RRR) starting April 1. A total of 533 people were banned from taking trains and 692 were banned from air travel in March due to their social credit scores, including some who were punished for manipulating the stock market, according to a newly released social credit report by China's National Public Credit Information Center. The Cyberspace Administration of China released the first list of 197 registered blockchain service providers, a move to provide a controllable environment to explore blockchain technology in the country, analysts said. 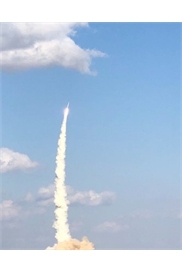 Chinese commercial rocket pioneer OneSpace Technology on March 27 failed to send a satellite into orbit at the Jiuquan Satellite Launch Center in Northwest China's Gansu Province due to the malfunction of the OS-M rocket's rate gyroscope, the company announced on Monday.